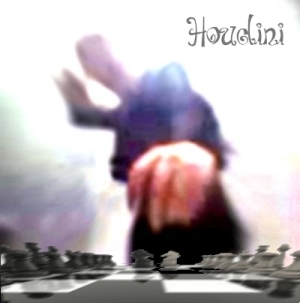 Houdini is the winner of Season 10 of the Top Chess Engine Championship. With its gold medal Houdini becomes the engine with most titles in TCEC history. The author of the engine Robert Houdart speaks in an interview with Chessdom.com about the Superfinal of TCEC, Season 10, the future season and a possibility for a match with the new AlphaZero. Congratulations on winning TCEC! Houdini is the TCEC Season 10 champion. How does it feel to become the engine with the highest number of titles in TCEC? First of all, thank you and the whole TCEC team for making this event possible. The opening selection in all the stages was very good, and we’ve seen some amazing chess games. And the new chat system provided a much better experience than before. It is a great feeling to win the Top Chess Engine Championship and be the engine with the highest number of titles. I’ve worked non-stop for the past two years to bring Houdini back to the top level, and I’m really happy that this has resulted in a new TCEC title, which is the equivalent of “world champion” status. 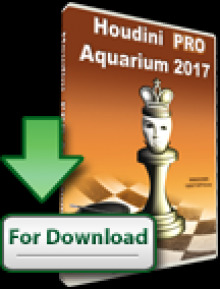 Before the tournament I expected a close contest between Houdini, Komodo and Stockfish, and that’s exactly what we’ve got. Why do you believe Houdini won the S10 title? 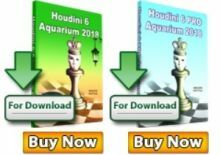 Houdini was the best all-round tournament engine – with an entertaining style that is able to beat the weaker engines and that is challenging to the other two top engines. That said, just like in a human tournament some luck is needed – things could have gone very differently in Stage 2! With the new TCEC title you certainly have many new fans joining the Houdini family. How can the fans get Houdini? The TCEC champion version 6.03 is already available to Houdini users on our official website. I made a point of playing with the release version of the engine, so that all users have direct access to the engine that was playing the different TCEC stages. Alpha Zero just defeated last year’s champion Stockfish 8. Your opinion on the paper published and the match that took place? It’s fascinating and amazing, and at the same time very much expected!… We even discussed this during the interview with Nelson and the Komodo authors. It opens entirely new, astonishing possibilities for chess engines! 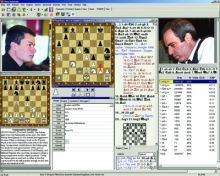 I do hope Google will publish more details about their approach, so that the chess world in general and the computer chess world in particular can benefit from their achievement. Now that Houdini is the reigning champion, would you issue a challenge for Alpha Zero? Under what conditions? That said, I’m not sure how Google is viewing their project – is it a research/marketing project (like Deep Blue was for IBM), or do they intend to use Alpha Zero competitively or as an analysis engine available to the general public? Before a challenge with AlphaZero there are more games at TCEC. The rapid and blitz is already being played. What are your expectations from Houdini there? Houdini and Komodo will probably be tired after playing 100 games non-stop, that’s a good opportunity for Stockfish to take revenge for missing the Superfinal :) More seriously, it should be a close contest between the top 3, any outcome is possible. Season 11 is starting after the rapid and blitz. TCEC is becoming a league and Houdini starts in the Premier division. Do you expect more competition besides Komodo and Stockfish for the top spots? The gap between the top 3 and the rest is quite big, I don’t expect any other engine to bridge it soon. Then again, 16 months ago everybody was talking about the “top 2” and the rest, nobody expected Houdini to make a comeback. Anything can happen, Season 11 should be fascinating!